The ShadowCrafter - Lost Infernal. 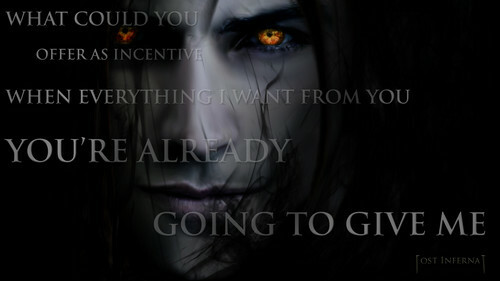 Full achtergrond of the ShadowCrafter, a Paragon Vampire from Lost Infernal ... WWW.LOSTINFERNAL.COM. HD Wallpaper and background images in the Vampires club tagged: vampire horror blood red evil hunter paragon lost infernal. This Vampires photo might contain lippizan, lipizzan, lippizaner, de lippizaner, portret, headshot, and close-up.